Free Market is the term that refers to a system of exchange and trading that takes place voluntarily in a given economic jurisdiction. These markets have the characteristics of decentralization and spontaneous arrangements whereby the people involved are able to make real economic choices with their money. No country in the world has a completely free market. The degree of its freedom depends heavily on the legal framework and political rules. 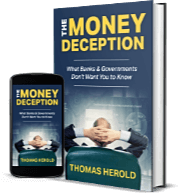 In some nations where markets are centrally planned or at least tightly regulated by an oppressive government (such as in the pariah state of North Korea), the only free markets may be enormous black markets which the government can not or chooses not to control or shut down. The phrase Free Market is often utilized in place of the French idea of laissez-faire forms of capitalism. This phrase translates to “hands off.” When the majority of individuals and investors refer to free markets, they are describing economies where competition is relatively unhindered and transactions are done on a generally private basis between willing sellers and buyers. A better definition would be a market in which economic activity is voluntarily and not coerced or heavily restricted by oppressive governmental authority. With this more inclusive definition, both voluntary socialism and laissez-faire capitalism are real examples of the free markets. It does not matter that the socialism involves public ownership of the factors of production. So long as a central government is not restricting or impeding the free exchange of goods and economic activity, it is still Free Market capitalism. Coercion can be allowed in free markets in the cases of mutually agreed to terms as part of voluntarily signed contracts. This is how tort law and lawsuits operate under free market capitalism, though legal cases are certainly coercive obstructions to free economic activity. It is the free market that makes it possible for goods from all across the globe to be made available to consumers in different countries. It similarly provides the greatest possible opportunities to entrepreneurs and business people. 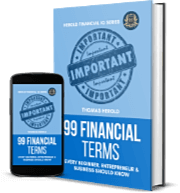 They put their personal capital at risk in order to meet the desires (both now and in the future) of the many global consumers as effectively and price-efficiently as they can. These free markets allow for savings and investment to produce capital goods while boosting the productivity of the workers (and hopefully their wages as well). It usually increases the standard of living of the employees as part of the process. Freely competing markets encourage and foster technological process and innovation which helps the inventors to satisfy the future desires of consumers across the world in creative and groundbreaking new ways. Free markets allow for and cause the development of financial markets over time. Such markets provide for the finance and capital needs of those individuals and businesses which require greater capital resources for their business ventures than they can fund alone. While some businesses may save money through thriftiness, others actually deploy their savings in an effort to make money by expanding or incubating a new business. Securities can then be traded on secondary markets to encourage both activities. As an example, individuals and investors who save are able to sink their resources into either the bonds or stocks of corporations. When they buy bonds, investors are providing their current savings to the businesses and entrepreneurs in exchange for the contractual agreement to repay these savings along with interest. When they purchase stocks, they are selling their savings in exchange for future claims on earnings not yet realized by the corporation. There are many constraints that central governing authorities and regulating agencies impose on the free markets. These all come with either a verbal or implied threat of force if they are not heeded. Some of these constraints include taxation, licensing requirements, price and wage controls, quotas on exports or production, employee hiring regulations, sourcing of goods regulations, fixed exchange rates, and general regulations of many different kinds. When these restrictions become too repressive, voluntary exchange usually still occurs outside the government’s knowledge in a black market. The problems with such markets is that oligopolies and monopolies often form in these underground free markets as competition is often ineffective and the prices are heavily impacted. 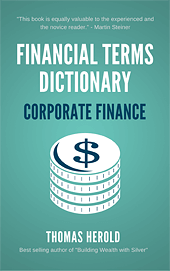 The term 'Free Market' is included in the Corporate Finance edition of the Financial Dictionary. You can get your copy on amazon in Kindle or Paperback version. See more details here.